I really enjoy doing commissions for readers and fans. It’s almost always a really fun experience. Every now and then, the excitement of sharing the finished piece of art is topped by someone who has chosen me to craft something for a really special occasion. 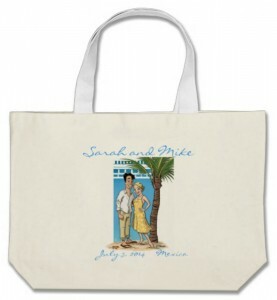 Mike and Sarah have supported my work a few times. Sarah commissioned an Indiana Jones themed cartoon avatar as a birthday gift for Mike. A hit, Sarah followed up with another Indiana Jones piece of original art for Christmas. Then it was Mike’s turn. 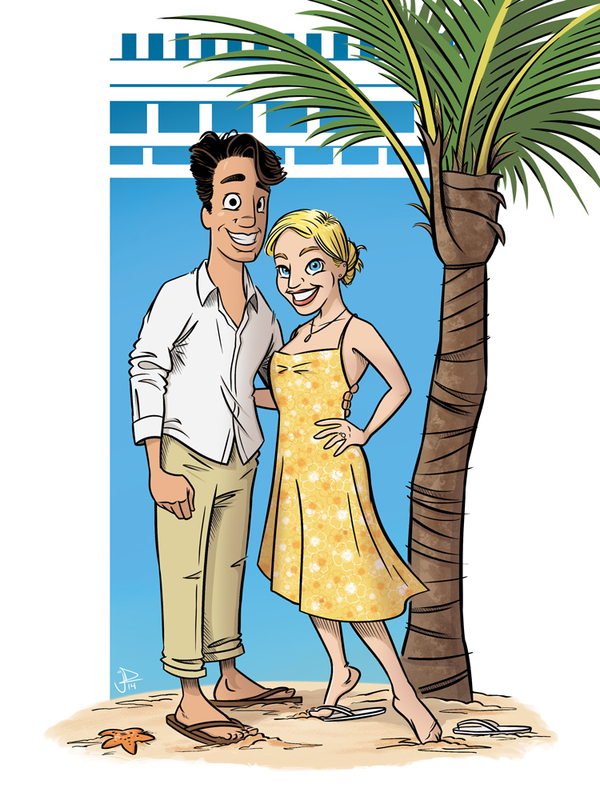 After proposing to Sarah at Christmas, Mike asked me to create a cartoon portrait for their destination wedding and engagement announcement! 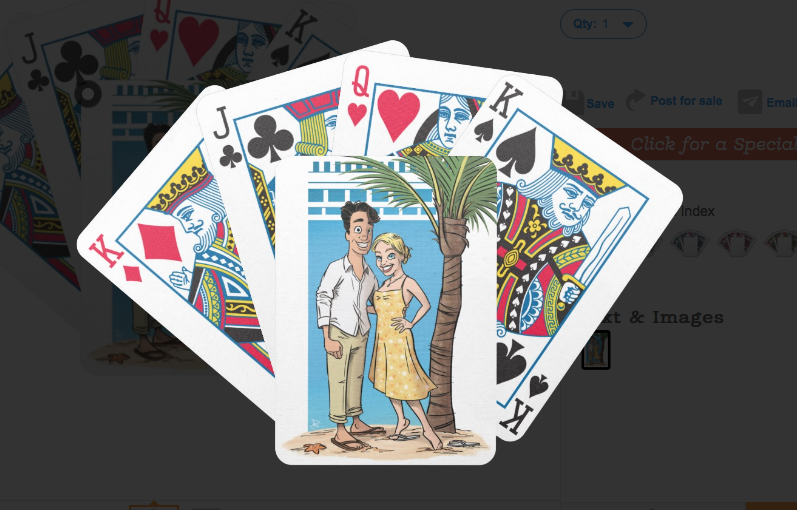 It’s always flattering to get a request for something like this, but it was really fun to take on the project after getting to know Mike and Sarah of the past year or so. 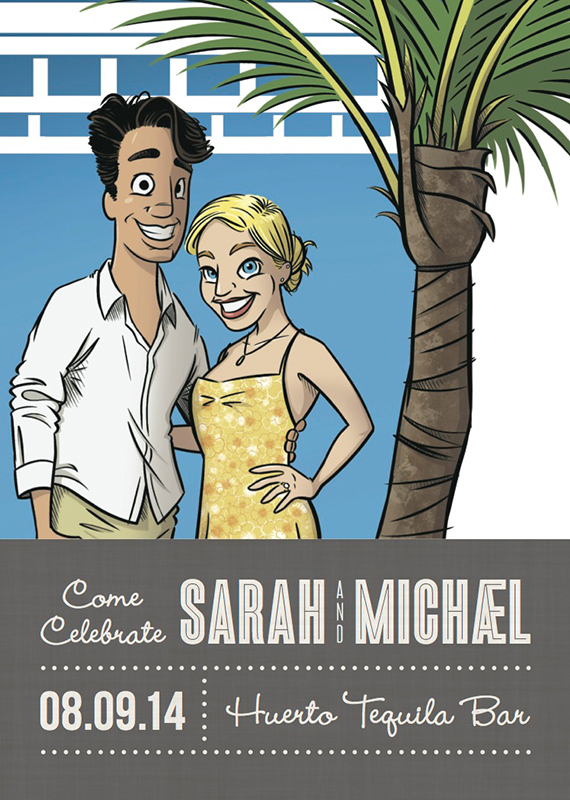 I recently received an email from Mike that said the illustration was so well received by family and friends that he and Sarah decided to use it for their local wedding reception invitations and their gift bags. There is even a set of custom Mike and Sarah playing cards for their guests. So fun! 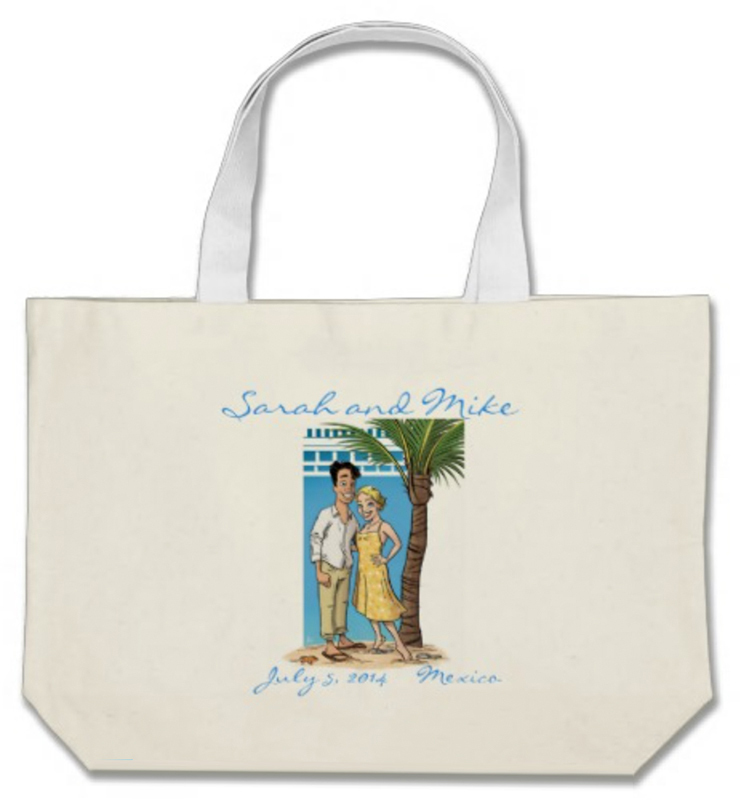 Mike and Sarah are tying the knot on July 5th.